Ca unul dintre producătorii de top mondiali în domeniul materialelor cu poliuretan pentru industria construcțiilor, MARIS POLYMERS pune un accent deosebit pe produsele de pavaj și produce o gamă largă de produse și sisteme diferite pentru a satisface cerinţele clienţilor din prezent și a se conforma cu cele mai recente tehnologii și standarde. Sistemele MARIS POLYMERS sunt utilizate la clădirile noi și renovări. Un mare număr de clienți din peste 70 de țări la nivel mondial au încredere în sistemele noastre sofisticate de impermeabilizare și de acoperire. Descoperiți chiar dumneavoastră serviciile noastre, soluțiile noastre și siguranța dovedită a MARISEAL și a altor sisteme. 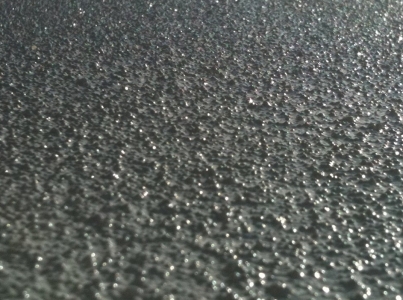 Car park coating is very important. Car Parking otherwise called car park is a challenging surfacing job. 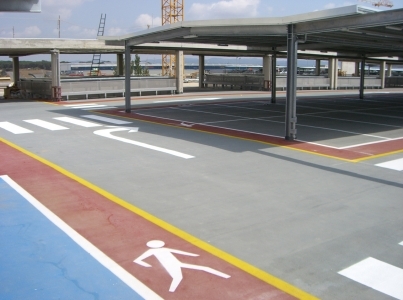 Car park coating in car parks must provide a highly durable, abrasion resistant, hard-elastic, anti skid and esthetic surface, capable of withstanding long term vehicular traffic. 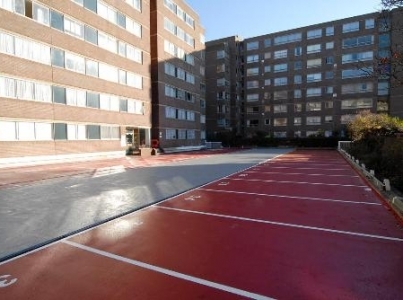 The MARIPUR® SYSTEM is the technologically advanced, premium liquid polyurethane car park coating system that offers easy application, high durability, quick curing times and most importantly guaranteed long lasting results. 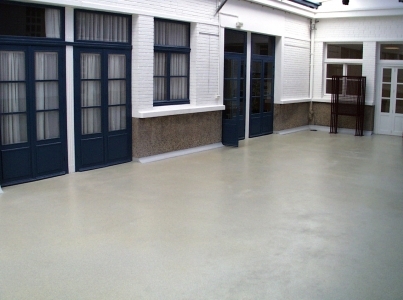 Read more aboutparking flooring. 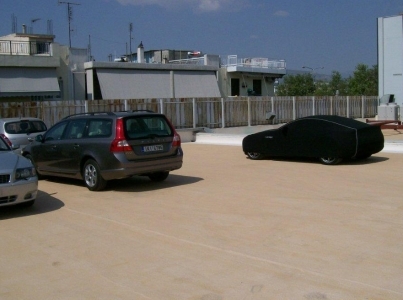 An exposed Car Parking otherwise called external car park is one of the most challenging surfacing jobs in a building. 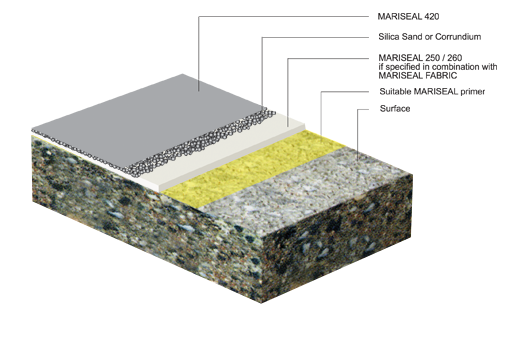 It must provide a highly durable, abrasion resistant, hard-elastic, anti skid and esthetic surface, capable of withstanding long term vehicular traffic. The MARIPUR® SYSTEM is the technologically advanced, premium liquid polyurethane Floor Coating system that offers easy application, high durability, quick curing times and most importantly guaranteed long lasting results. 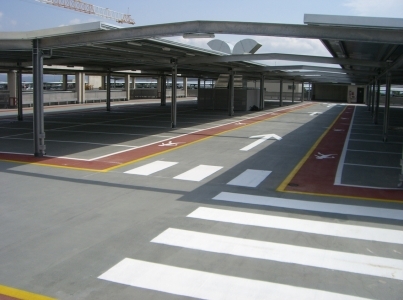 Read more about car park flooring systems. When applied it forms seamless coating without joints. 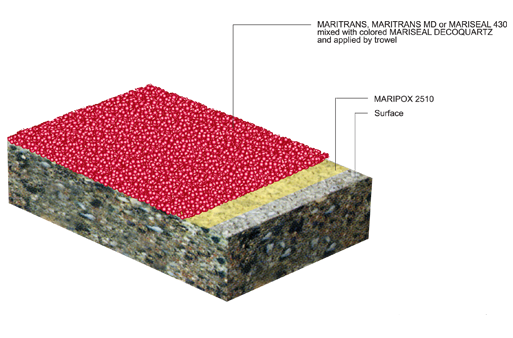 The MARISEAL® 250 is a premium, liquid-applied, highly permanent elastic, cold applied and cold curing, one component polyurethane membrane used for long-lasting waterproofing. Solvent based. The MARISEAL® 250 is based on pure elastomeric hydrophobic polyurethane resins, which result in excellent mechanical, chemical, thermal, UV and natural element resistance properties. Mariseal 250 cures by reaction with ground and air moisture. Floor coating is very important. 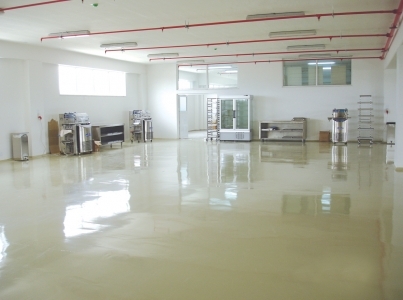 The surfacing and flooring of a manufacturing / production facility is a challenging surfacing job. It must provide a highly durable, abrasion resistant, hard-elastic, anti skid and esthetic surface, capable of withstanding long term vehicular traffic. 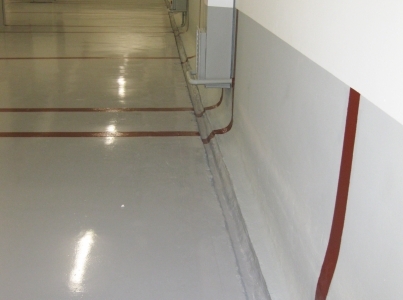 The MARIPUR® SYSTEM is used as a protective paint (thin-layer) over concrete surfaces in manufacturing / production plants. 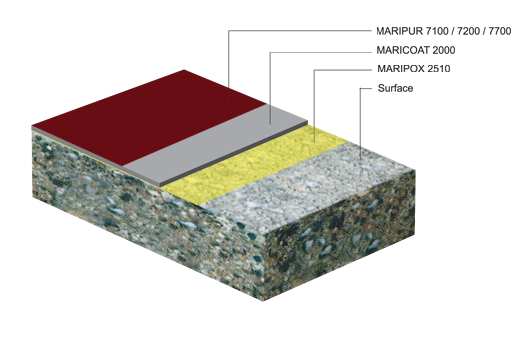 Read more about production flooring systems. MARIPOX® 2510 is a transparent, rigid, two component epoxy solvent-free primer / coating mainly used as a primer in floor coating applications. Cures by reaction (cross linking) of the two components. 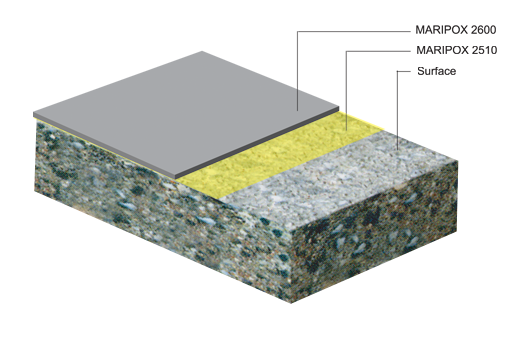 Read more about production flooring systems. 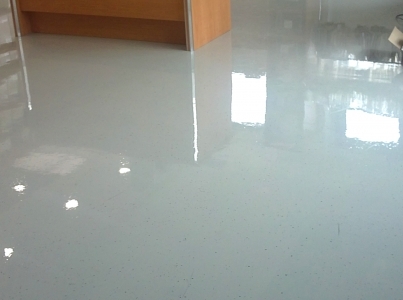 The surfacing and flooring of a manufacturing / production facility is a challenging surfacing job. It must provide a highly durable, abrasion resistant, hard-elastic, anti-skid and esthetic surface, capable of withstanding long term vehicular traffic and wear due to working conditions. 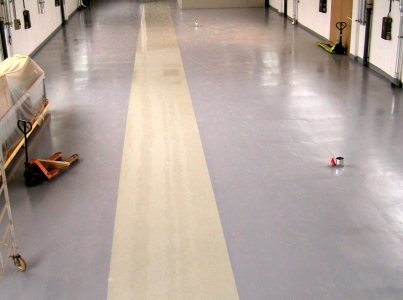 MARIS POLYMERS offers technologically advanced, multi-layer Epoxy Floor Coating systems that offers easy application, high durability and most importantly guaranteed long lasting results. 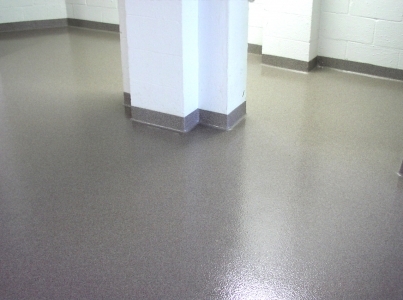 The MARIPOX® floor coatings contructed as a multi-layer floor coating systems are used as heavy duty protection on concrete surfaces in manufacturing / production plants. 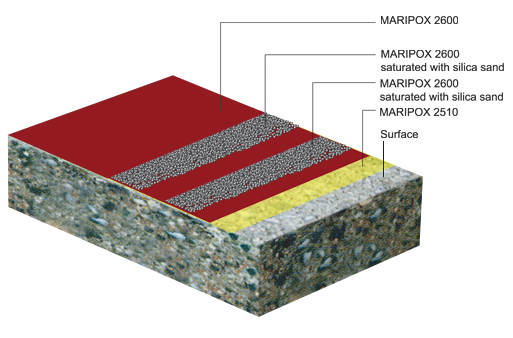 Create thick layers that protect very efficiently. When applied do not absorb liquids or dirt. Maintain its mechanical properties over a wide temperature span. Warehouse floor coating is very important, considering that the surfacing and flooring of a Warehouse or a Storage facility is a challenging surfacing job. It must provide a highly durable, abrasion resistant, hard-elastic, anti skid and esthetic surface, capable of withstanding long term vehicular traffic. The MARIPUR® SYSTEM is the technologically advanced, premium, thin-layer polyurethane warehouse floor coating system that offers easy application, high durability, quick curing times and most importantly guaranteed long lasting results. The MARIPUR® SYSTEM is used as a protective paint (thin-layer) over concrete surfaces in Warehouses and Storage facilities. 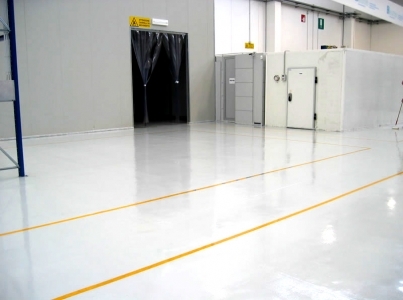 Read more about warehouse floor paint. 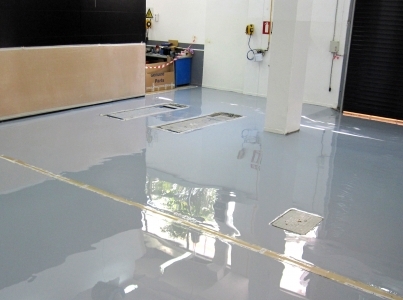 Epoxy Floor Coating has a crucial role in the surface of warehouse or storage. 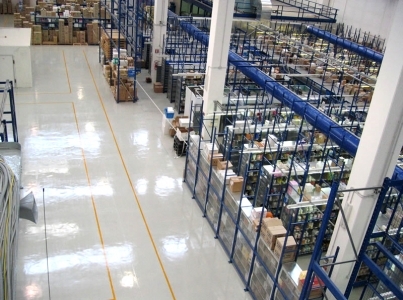 The surfacing and flooring of a Warehouse or Storage facility is a challenging surfacing job. It must provide a highly durable, abrasion resistant, hard-elastic and esthetic surface, capable of withstanding long term vehicular traffic and wear due to working conditions. 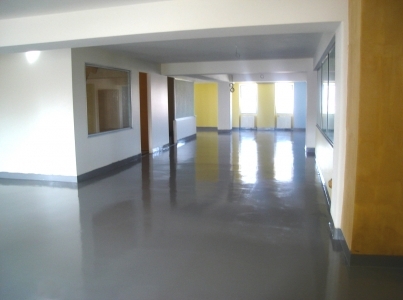 MARIS POLYMERS offers technologically advanced, self-leveling Polyurethane and Epoxy Floor Coating systems that offers easy application, high durability and most importantly guaranteed long lasting results. 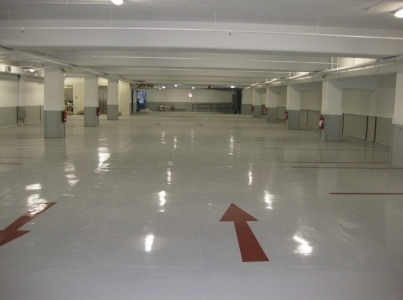 The MARIPOX® self-leveling polyurethane floor coatings are used as heavy duty protection on concrete surfaces in Warehouses and Storage facilities. Give a glossy and easy-to-clean surface. 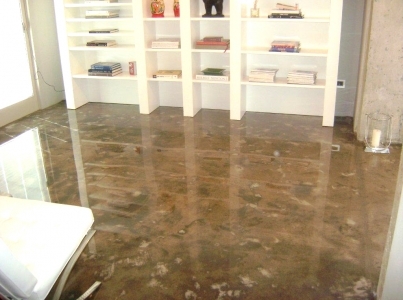 The surfacing and flooring of a warehouse or storage facility is a challenging surfacing job. It must provide a highly durable, abrasion resistant, hard-elastic,anti-skid and esthetic surface, capable of withstanding long term vehicular traffic and wear due to working conditions. 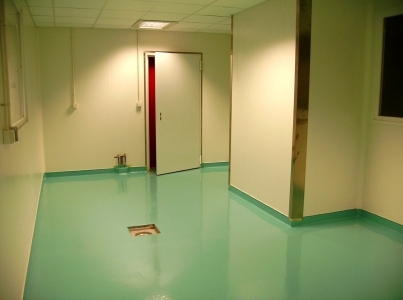 MARIS POLYMERS offers technologically advanced, multi-layer Polyurethane and Epoxy Floor Coating systems that offers easy application, high durability and most importantly guaranteed long lasting results. 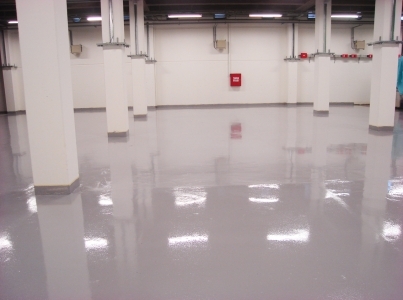 The MARIPOX® floor coatings contructed as a multi-layer floor coating systems are used as heavy duty protection on concrete surfaces in Warehouses and Storage facilities. 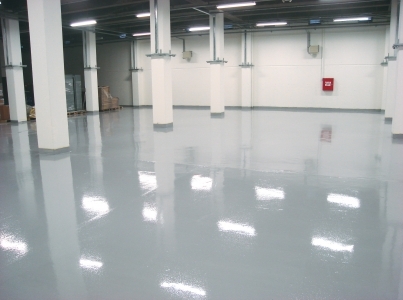 Read more about warehouse floor paint. 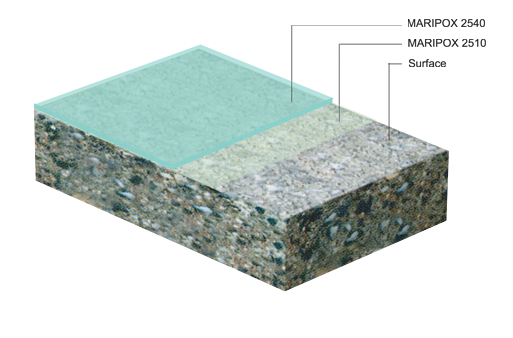 The surfacing and flooring of a Commercial facility as an Office, a Retail Shop, a Show Room or a Restaurant is a challenging surfacing job. 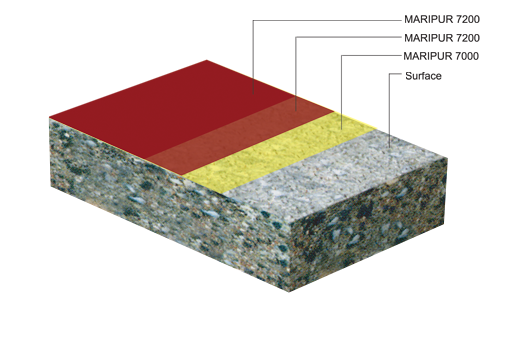 It must provide a highly durable and abrasion resistant, surface, capable of withstanding long term pedestrian traffic and wear due to working conditions. On the same time it must also offer an aesthetic look to the surface to enhance the design of the building. 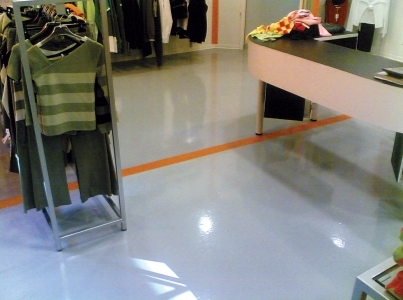 The MARIPUR® SYSTEM is used as a protective paint (thin-layer) over concrete surfaces in Commercial facilities like Offices, Retail Shops, Restaurants, etc. 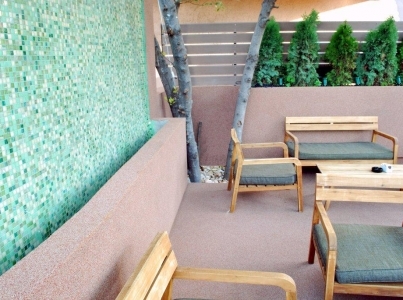 Read more about commercial flooring systems. 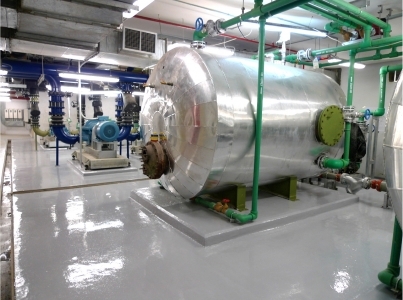 The MARIPUR® 7100 is a colored, one component, highly durable, aromatic polyurethane thin-layer floor coating. 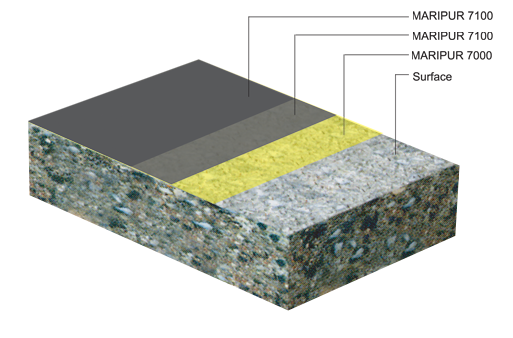 The MARIPUR® 7100 is specially designed for use as a floor coating, providing high mechanical strength, high abrasion and chemical resistance. Cures by reaction with ground and air moisture. 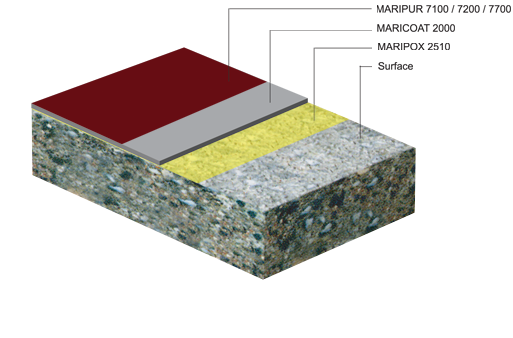 Read more about commercial flooring systems. 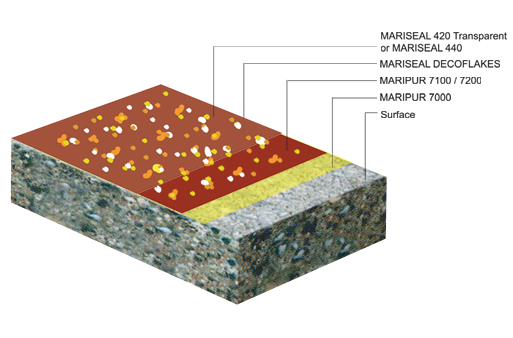 The surfacing and flooring of a public commercial facility as a Show Room,Shop, Night Club, Restaurant, Cafeteria, etc is a challenging surfacing job. 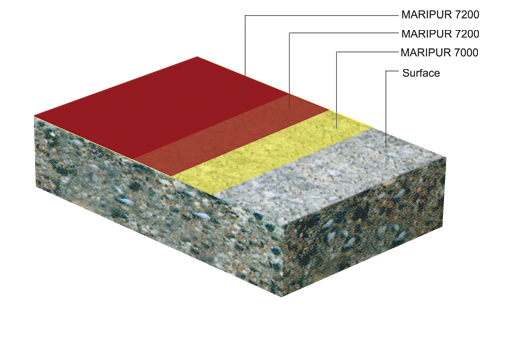 It must provide a highly durable and abrasion resistant surface, capable of withstanding long term pedestrian traffic and wear due to working conditions. On the same time it must also offer an aesthetic, decorative look to the surface to enhance the design of the building. 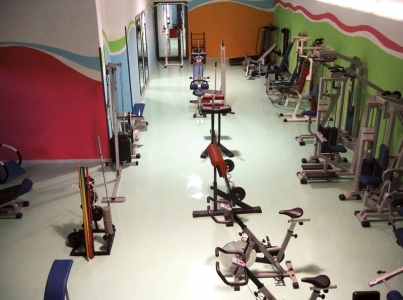 MARIS POLYMERS offers technologically advanced, decorative Polyurethane and Epoxy Floor Coating systems that offers easy application, decoration, high durability and most importantly guaranteed long lasting results. 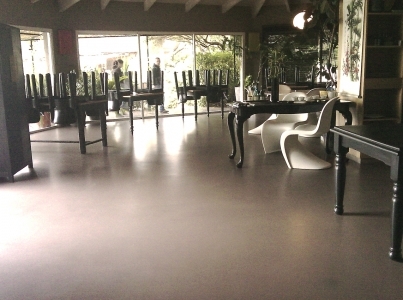 The MARIPUR®, MARISEAL® and MARITRANS® coatings and resins are used as protection and decoration on concrete floor surfaces in public commercial facilities like Show Rooms, Shops, Restaurants, Cafeterias, Night Clubs, Offices, etc.